I seriously love the little Kellogg’s® snack packs. 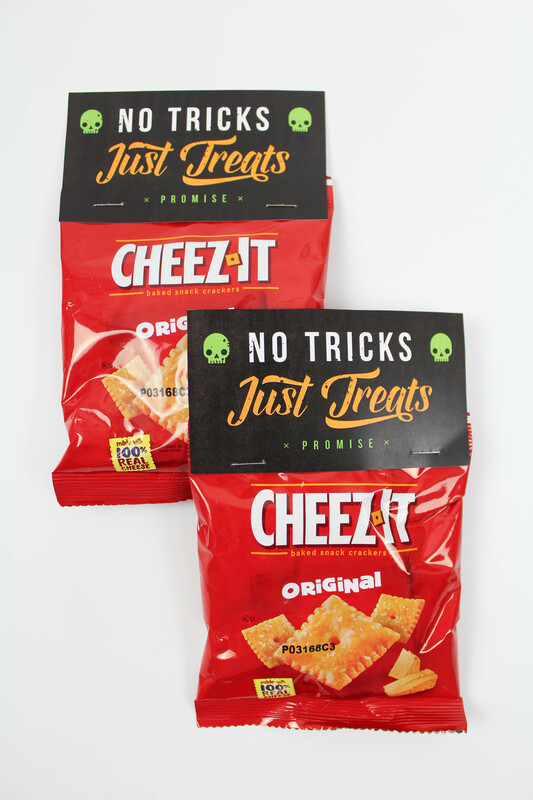 I’m in my 30’s, don’t have kids, and they still always seem to end up in my cart when I’m grocery shopping! 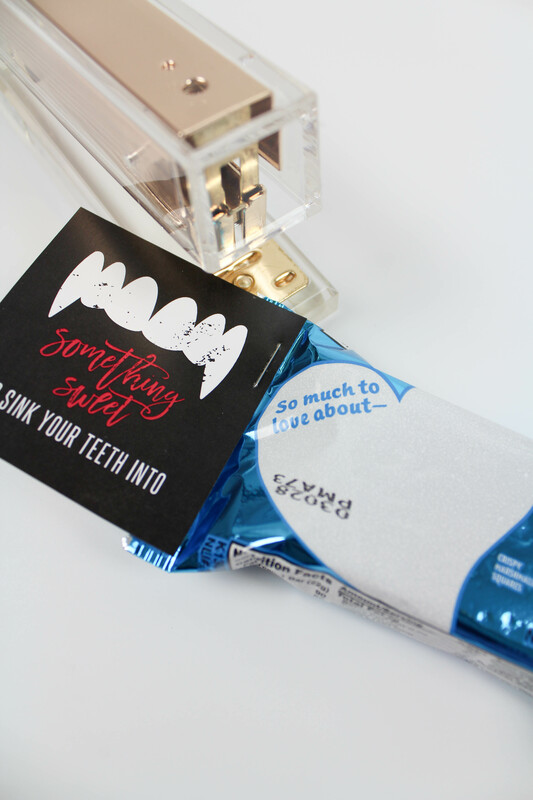 They are just so convenient and I love throwing them in my purse when I’m running out the door to work, or out to meet friends or family. 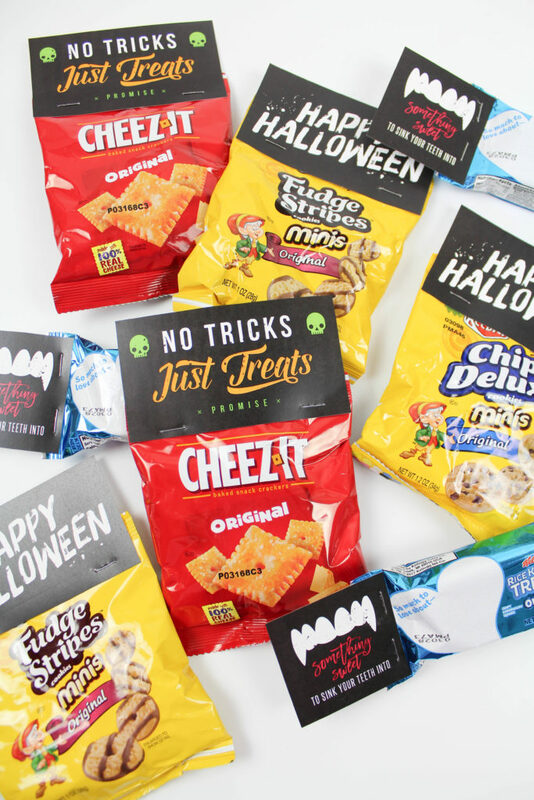 Now that you’ve figured out what snacks to get, let’s move onto the easy DIY! First, download and print your halloween treat bag toppers. 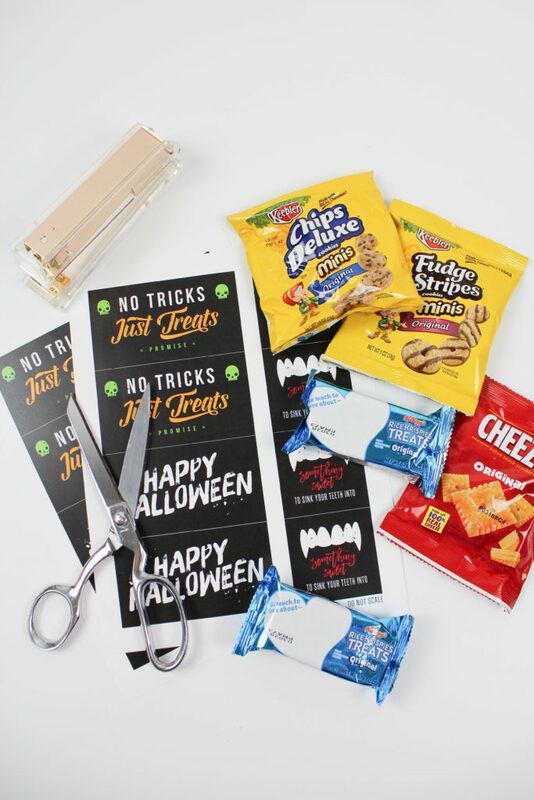 Using scissors or a paper trimmer, cut them out individually. 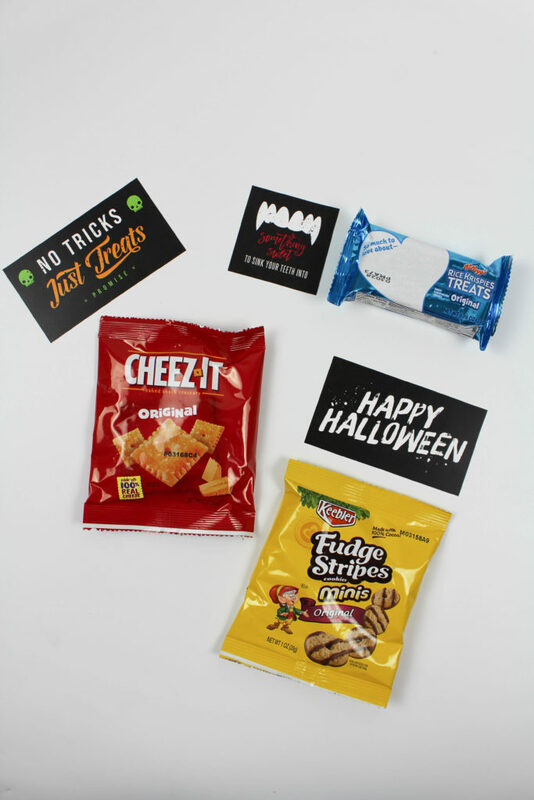 (The smaller tags fits perfectly on the Original Kellogg’s Rice Krispies Treats and the larger tags fit perfectly on Keebler & Cheez-It snack packs). 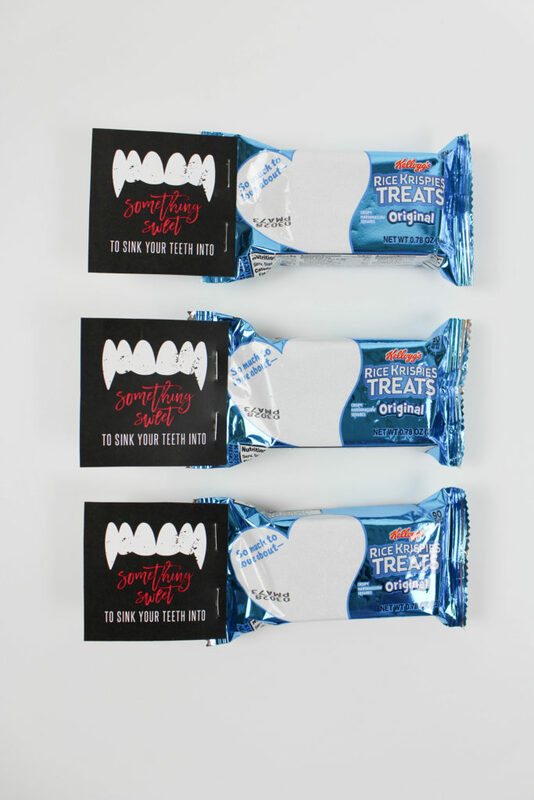 Using a stapler, attach the larger tags to the tops of the snack pack bags, and the smaller tags to the sizes of the Kellogg’s Rice Krispies Treats packages. 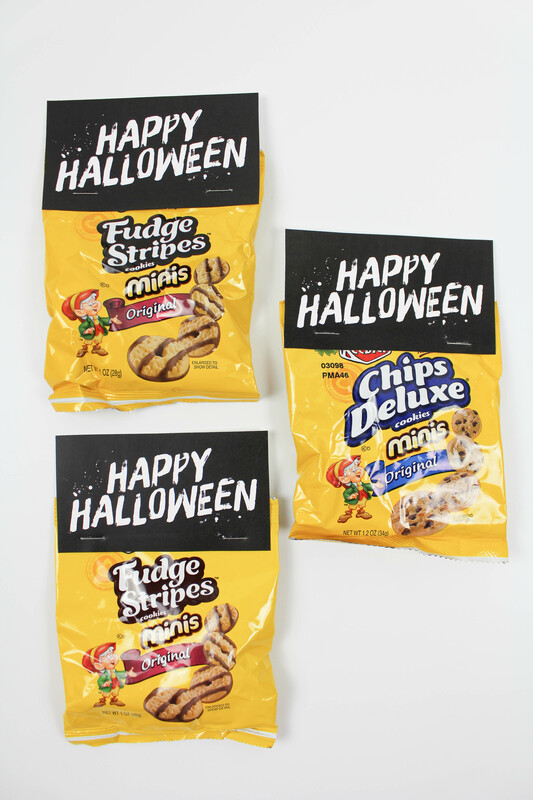 Seriously, the most simple DIY to give those little snack pack bags a fun Halloween makeover! You can even involve the kids and have them help you assemble them too! 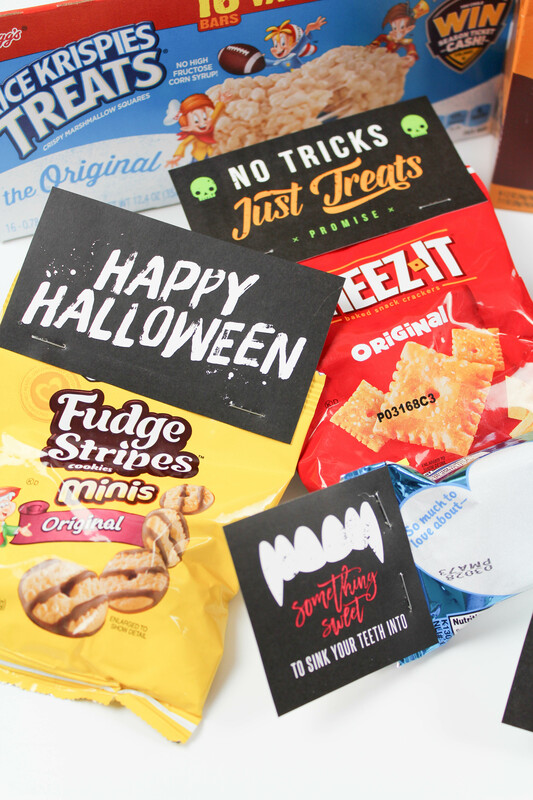 So who are you guys going to give your halloween treat bag toppers and snacks too this halloween? Check out great offers and limited time special pricing on Pringles Snack Packs and Keebler Cookie and Cheez-It Variety Packs at your local Kroger or Kroger banner store! 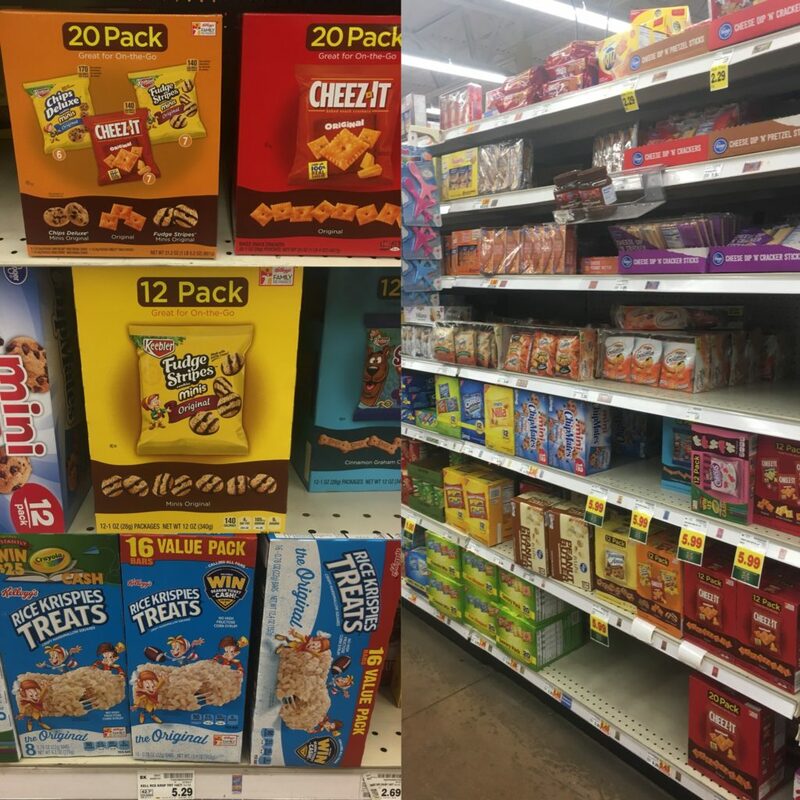 And make sure to also grab a coupon here, to save on other Kellogg products at Kroger!